He did it! Cristiano Ronaldo is once again named the best player in the world and wins his fifth Ballon d’Or award. To celebrate Nike now introduce the CR7 Mercurial Quinto Triunfo. Gold and as brilliant as his play. Last year's success is today's expectations. This quote has been printed on the walls at Unisport HQ for years and no man takes it more seriously than the man who said it. No matter how hard fans, haters and journalists try to make Messi his enemy, Cristiano Ronaldo truly only has one rival and that is himself. This mentality of constant improvement and dedication to training is matched by very few athletes in history and tonight it brought CR7 his fifth Ballon d’Or trophy. It goes without saying that 2017 has been a remarkable year for Cristiano Ronaldo, with especially his scintillating form during spring standing out as a big part of the reason for him winning the Ballon d’Or this evening. Earlier this year he also picked up the “FIFA The Best” award and while we won’t get into which of the two awards is the most influential (because no one really knows), we will instead focus on the boots released tonight. 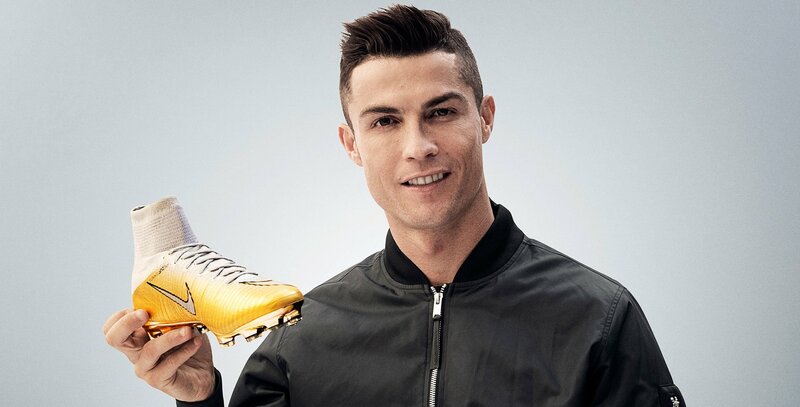 1000 pairs of the individually numbered Nike Mercurial CR7 Quinto Triunfo will be made worldwide and as you have probably gathered from the images above it is absolutely spectacular. The design fades from a silver dynamic fit collar to a mainly gold upper and metallic gold soleplate. The five different years Cristiano Ronaldo has won the award have been written into the famous Nike Swoosh with a tone-in-tone style, which makes it a very subtle yet epic detail. Running down the heel of the boot you find the boots name “Quinto Triunfo” written, as well as what number boot you have received. With such few pairs available in the world you will need to be ready at your computer, as soon as the boots release. They will go online on our site, so be ready next week and remember to sign up below to get an email notification, when they drop. Sign up for the Nike Mercurial CR7 Quinto Triunfo right here and get your pair from Unisport.